Village View Post: HAPPY BIRTHDAY ANDY PALACIO: R.I.P. 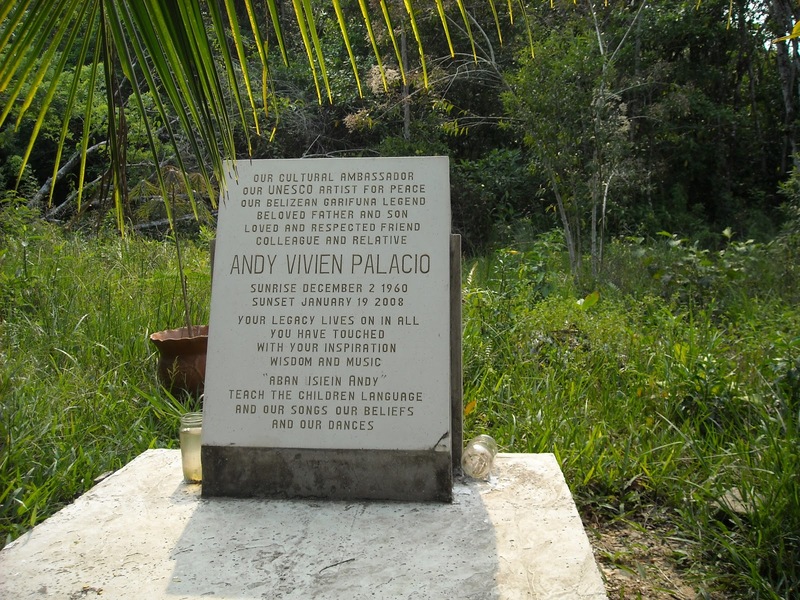 Andy Vivien Palacio, Belize’s Cultural Ambassador, and UNESCO Artist for Peace, Andy would have been 50. R.I.P. Seen here with UNESCO Secretary General. 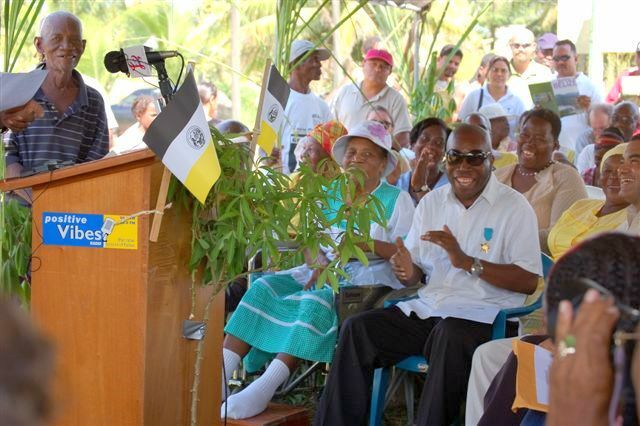 Thank you Andy for the preservation of the Belize Garifuna culture through your music, song and dance. Seated next to mom at 2007 Barranco Homecoming. Andy's mom died on Nov 21, 2010. 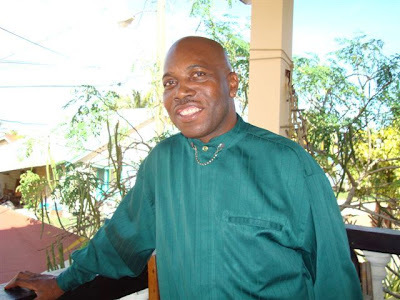 Press Release – Andy Palacio Foundation – November 30th 2010 - The Andy Palacio Foundation is pleased to remind the nation of Belize that December 2nd is the birthday of Andy Vivien Palacio. At the time of his death, nearly three years ago, Andy Palacio was the Deputy Administrator of the National Institute of Culture and History, Belize’s Cultural Ambassador, UNESCO Artist for Peace and the leading light behind the Belizean album Wátina that made it to the top of the European World Music Charts, a feat that was unprecedented for Belize. Andy’s role in taking Belizean music and culture to the world stage was likewise unprecedented. Belize still mourns his passing and it is fitting that we remember him on what would have been his 50th birthday. Last year the Annual Andy Palacio Lecture was commenced with the idea that it would take place every year on his birthday. 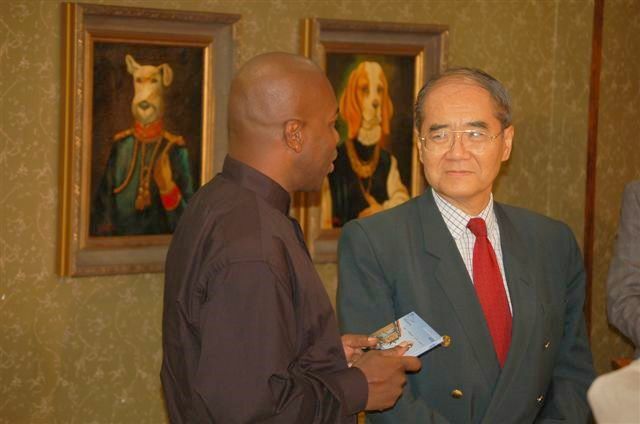 We regret that it has had to be postponed but inform the public that the lecture will be delivered by Dr. Joseph O. Palacio at a date to be announced in late January, 2011. A song by Lloyd Augustine entitled Ayahuaháli ñou Balisi/Belize Weeps Yet Again and dedicated to the memory of Andy is being released by Stonetree Records. In this regard, radio and television stations are urged to play that song and other music by Andy Palacio on 2nd December to mark his birthday. It is further announced that in April 2011 a children’s book titled Andy: Artist for Peace illustrated by Ian Gibson and written by Ian Gibson and Yasser Musa will be published by the Image Factory Art Foundation in collaboration with the Andy Palacio Foundation. The text for the book will be in English and Garifuna. To commemorate Andy Palacio's birthday, Stonetree Records and the Garifuna Collective in collaboration with the Andy Palacio Foundation is releasing to the public a tribute song composed by Lloyd Augustine, arranged and performed by The Garifuna Collective. (to download go to www.stonetreerecords.com/ANDY_PALACIO_TRIBUTE , right click on AYO_2010.mp3 and click "save link as". This song was recorded at the Stonetree Studios in Benque Viejo with Garifuna segunda drums and marracas played by Joshua Arana and Giovani Chi, Lloyd Augustine on vocals, Wilton Lewis on bass and four electric guitars played by Sam Harris, Nuru, Al Ovando and myself. On December 2nd 2009, we released the song Wamada (our mutual friend) featuring Aurelio Martinez with Youssou N'Dour, one of Africa's greatest voices. Today we bring it closer to home. 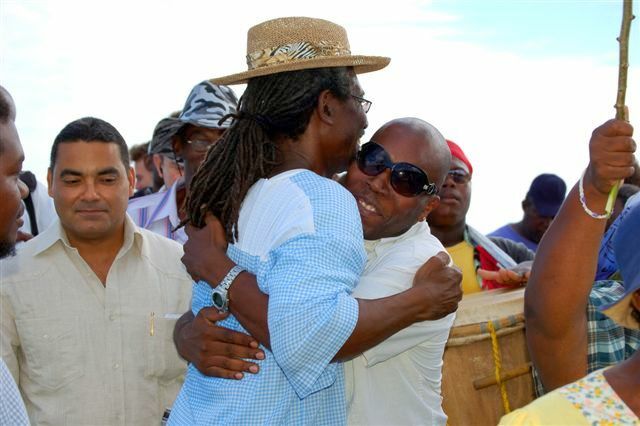 This song is for Andy, from his friends, his band mates, the Garifuna Collective. Please play it and share this email with your friends. R.I.P Andy-Gone but not forgotten! We still feel 'raw' from his loss. Much as we Garinagu celebrate death (drums and all) we still weep for our loved ones and this new song captures that feeling. Yes, he will never be forgotten. Great!! Andy was a great citizen and sorely missed, but let's not forget Sir Edney Cain who also shares the same birth date and without question was one of our country's most outstanding Public Servants.